Home / Apple / iPhone / iPhone X Plus / News / Smartphones / iPhone X Plus, leaked by Apple? iPhone X Plus, leaked by Apple? It seems that history is repeating, it was almost exactly this time last year, app developers found definitive proof of the iPhone X’s front design hiding inside iOS 11. The “glyph,” as that kind of outline symbol is called, showed the iPhone X’s soon-to-be-iconic notch design off for the first time, and was one of the key pieces of the puzzle as we tried to piece the iPhone X’s design together before the launch. Guilherme Rambo, one of the developers who leaked the iPhone X glyphs last year, is back with new glyphs from this year’s iOS 12 beta. Among other things, they suggest that Apple is planning on launching something called the “iPhone X Plus,” which looks to be a bigger version of last year’s iPhone X.
It’s also important to highlight that from the long it has been rumored that Apple will release a larger “iPhone X Plus” model this fall, and this news gives somewhere confirmation about the same. Rambo notes that the icons are all early and unfinished, so don’t necessarily take them as a definite indication of what the new devices will look like. Additionally, Rambo commented in a later tweet that the iPad icon in question is rendered as a square to be easily adjustable for both sizes, so don’t get your hopes up for a square iPad just yet. 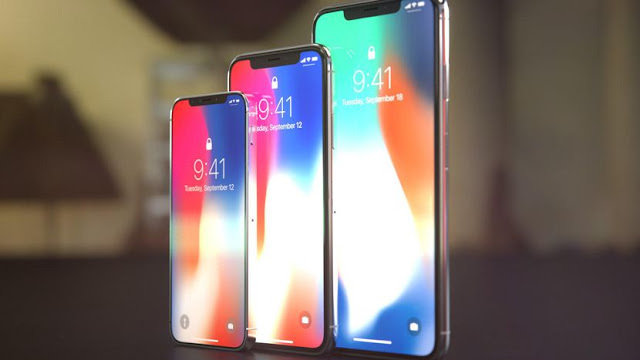 Reports have long suggested that Apple intends to launch three new iPhones this year, including a high-end device that resembles the iPhone X but with a larger 6.5-inch screen. It has been nicknamed the iPhone X Plus, but it isn't clear what Apple will ultimately call it. It is necessary to highlight that nothing was confirmed by the official channels of Apple and we will only have the celerity about the device when it gets launched. Follows App Gyaan on Facebook and Twitter for all the latest technology news.